waptCloud Cloud based Web Security Platform | Web Penetration Testing | Website & Web Application Security | Web Security Testing | Web Security Audit. waptCloud is an affordable cloud based Application Security platform.It provides the Security and Penetration testing of applications along with managed vulnerability scanning and provides solutions for any potential problems discovered.Your application security is our top priority.We ensure the safety of your application 24x7 round the year. A Web Application Penetration Testing (WAPT) is an attack on a website or security audit of a website for finding security issues and vulnerabilities. - To find weakness in website and databases. - Gather information to prevent data incidents. - Demonstrate the potential consequences of a breach. - To free from Financial, reputation and data loss. Every day, we get to know a new headline about an attack on company websites. That makes application security a critical initiative for each and every organization - no matter their size or industry. But, websites and web applications tend to change on a continuous basis, so organizations must ensure that they have the right security measures in place to protect vulnerabilities from potential attacks round the clock or 24x7. What application security threats do you face? How should organizations choose an application security testing provider? And how can vendors help developers identify the source of the problem at the code level? In this Security Research program, we are trying to answer all those questions and more with our research team who are recognized by the industry's leading experts. They'll reveal what the future of application security testing holds for all organizations, especially yours. This is a debate whether hacking is "Ethical or Unethical" & every security professional has different views regarding the same. As per law it's not ethical or unethical it's whether you are Authorized or not. All Unauthorized access is punishable/liable under IT Act 2000/2008 or Cyber Law. If you are trying to break into a system or something, you are committing a crime. If the Intentions are wrong then it's a Crime. Hacking is the practice of understanding the workings of a system. Hackers are intelligent people who do not abuse privileges or discoveries. waptCloud is web security platform which will provide the enterprise/industry required security skills professionals & ready to implement the Web Security solutions. We may request to all security professionals & independent security researchers that we would be requiring your support in securing this waptCloud Security platform. waptCloud fully supports and values the security research community. As such, we encourage security professionals/researchers to responsibly disclose security vulnerabilities after reviewing our responsible disclosure policy and bug bounty guidelines found on this page. Only sample accounts you have created for the purpose of your security research, and never attempt to access or disrupt another user's service We will not bring legal action against any researcher who discloses security vulnerabilities using the responsible disclosure guidelines above. To show our appreciation and respect to the security researchers whom volunteer their time to improving our service, we offer a non-monetary bounty for certain security bugs. The minimum bounty for a qualifying security vulnerability is one super cool Tshirt & name on Wall of Fame for one week. Security researchers who don't want to collect a bounty may have extended their name on Wall of Fame from one week to 15 days. Generally excluded bugs: WordPress, DoS, 3rd party app and software bugs, logout CSRF, spamming, social engineering, etc. "We were a little skeptic in the beginning in handing over the mantle of IT Security Audit to WAPTCloud, but they came out trumps!!! WAPTCloud Cyber Security certainly exceeded our expectations. The physical distance was never an issue with this trained, meticulous and dedicated team. All the Best!!!" "Great quality, commitment, productivity & efficiency and lower overall cost of ownership is why we choose WAPT. They assisted us through the entire technology process and our Client portal is NOW strong, robust, and secure. WAPT is a valued business partner with proven solutions." "WAPTCloud has a proven track record of combining strong Cyber security and support processes with immense value. Post the complete IT security testing and Audit by the WAPTCloud Platform, Our IT Admins can now better leverage from the processes created and the great documentation submitted." 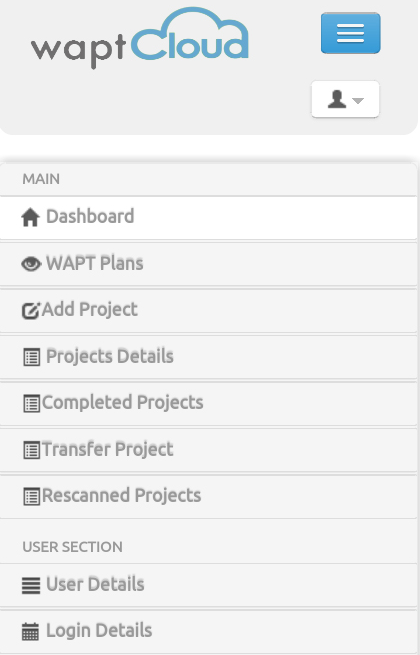 "We really appreciate WAPTCloud Platform & Threats Fixing Team’s efforts in making NITTTR, Chandigarh Web Portal Application robust and Security compliant. It is due to your endeavors that we can now proudly say our site is secure and is Level 1 compliant certified. Keep up the good Work !!!" "We would rate the Secured Penetration Testing 10 out of 10 and would highly recommend to others, the expert Secured developers managed to get excellent secure coding right from the beginning till delivery. We are happy to get secure app within decided SLA." To discover how protected you are. To find and fix vulnerabilities. To know security mistakes by your development team. To make your website safe to use.